Natasha loves chocolate with a passion. She would even steal it from the mouths of babes! She is not alone in her ardour. 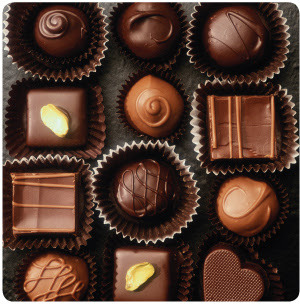 Chocolate has been called theobroma — the food of the gods. It is the one food substance that women have a strong love-hate relationship with. Melting sensuously on the tongue, it creates the most delightful sensations, intriguingly embracing one with intense feelings of love and being loved. It is hardly surprising that chocolate has become the symbol of Valentine's Day and is the number one gift to buy for a loved one. On the other hand, women also perceive chocolate as the devil's tool, the single temptation that often makes one wander off the path of healthy food resolutions. The production of cocoa has increased exponentially in the past few decades. 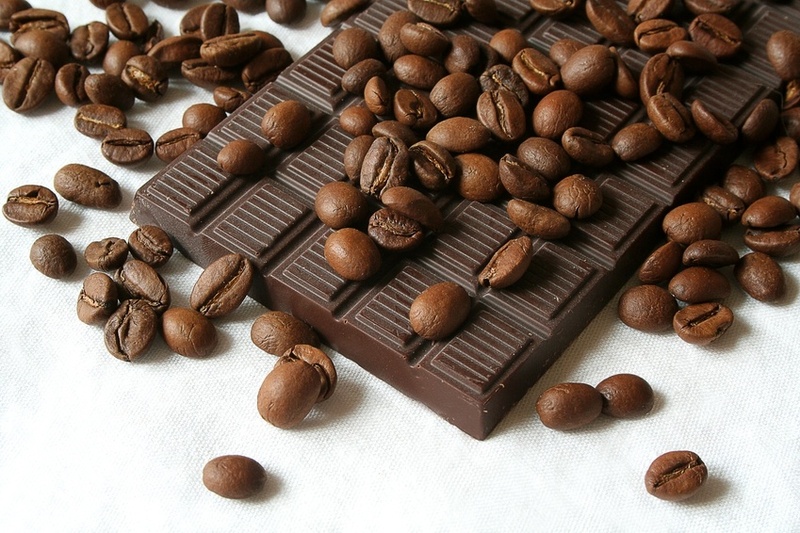 According to the International Cocoa Organisation, production has risen from 1.2 million tonnes per year in 1960 to 3.2 million tonnes per year in 2004. We don't need statistics to prove to us that we are drowning in a sea of chocolate. Chocolate has gone from being a luxury food to a common confectionery, accessible to anyone. The healthy effects of chocolate are what all of us are interested in. With so many studies coming out extolling the health benefits of chocolate on heart disease and hypertension, does it mean that we can eat chocolate with complete abandon, revelling in the food that tastes heavenly and shockingly, may actually be good for your health? Tragically, this is not true. Flavanoids and flavanols are plant molecules present in coloured vegetables, tea, wine and chocolate, among other food products. The flavanol epicatechin is present in cocoa and supposedly improves blood flow and helps with heart health. Cocoa, the major ingredient of dark chocolate, contains relatively high amounts of epicatechin. White or milk chocolate lovers will be saddened to know that this type of chocolate is often devoid of flavanols, and has no health benefit. Some studies on a relatively small number of people have shown that dark chocolate is almost as effective as drugs in decreasing high blood pressure. A recent small scientific trial showed that people who were pre-hypertensive or had early-stage hypertension could lower their blood pressure by eating small amounts of dark chocolate as part of their usual diet. Flavanols can also decrease the risk of a heart attack by 50 per cent, coronary disease by 10 per cent, and premature death by 8 per cent. It seems that the benefits of flavanols are almost never ending. 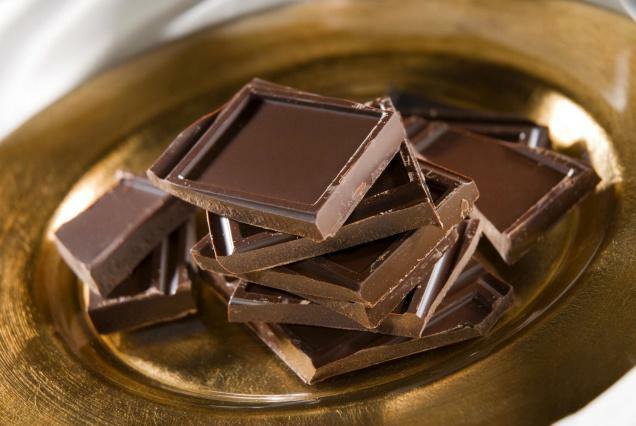 By helping the body metabolise sugars, dark chocolate may actually reduce the risk of developing diabetes. Flavanols in dark chocolate also increase HDL (“good”) cholesterol and lower LDL (“bad”) cholesterol. In some studies, flavanols have also been shown to improve blood circulation to the brain for two to three hours after eating chocolate. So does the consumption of dark chocolate delay mental aging, improve memory and fight exhaustion? Dark chocolate has to contain more than 60 per cent cocoa to have its beneficial effects, and is most effective when containing 75-85 per cent cocoa. How many chocolates contain that much or even taste good with those levels of cocoa? The dark side of chocolate! Dark chocolate can be deceptive. Many times, when we think we are eating dark chocolate, the colour is due to darkened cocoa solids; the chocolate itself does not actually contain too much cocoa. Manufacturers of chocolate remove the flavanols because they are bitter. So, unfortunately, even a dark appearing chocolate may not contain enough flavanols. Even the most health conscious among us are kept in the dark, because very rarely do manufacturers rarely label their products with information about the flavanols they contain. It is also unfortunate that the antioxidants in chocolate are rapidly removed from the body in the normal course of events. The antioxidants, therefore, do not have enough time to show their beneficial effect on the blood vessels and the heart. The Lancet, a leading medical journal, pointed out that “the devil in dark chocolate is the fat, sugar, and calories it also contains.” So before reaching for that piece of chocolate, remember that it contains more calories than flavonols! If you want the benefit of flavonoids and flavanols, reach for a rainbow of fruits, tea or even a glass of red wine! Good article, but there are two main problems with the dark side of your argument. First, the studies (specifically the 2008 study from Cologne, Germany about blood pressure) was conducted with 5g servings of Ritter Sport Dark Bar containing only 50% cocoa content. This means that approx 49.5% of the rest of the bar is sugar. This would imply that even a dark chocolate bar with as little as 50% cocoa content could have a beneficial impact on your blood pressure. Second, the the ORAC (Oxygen Radical Absorbancy Capacity) scale usually measures the benefits of flavanols and polyphenols. They have Dark and Milk chocolate as being 2 to 3 times more beneficial on this scale than red wine, green tea, and leafy greens. Goji berries are as potent as chocolate, but much harder to eat by themselves. SO don't go for the rainbow of fruits, tea, or wine, chocolate is still supreme!